As a great blogger once said, in the world of SEO, content is king. And, one of the most efficient methods of adding content to a site is through a blog. Daily posts on a blog will not only steadily increase the amount of content on your site, but it will also provide a resource for building keyword relevance and internal linking. A WordPress blog is arguably the most SEO-friendly platform for content creation. 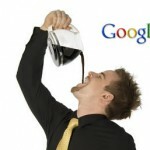 Not only is it simple to use, but with the addition of the right SEO plugins, you can basically set it on auto-pilot. It’s important to note, however, that you must still understand basic linking strategy in order to effectively utilize your WordPress blog. Starting with blog content, you must thoughtfully plan your approach. Write a blog post with your keywords in mind and be sure to mention the exact keyword approximately 1-2 times throughout the post. Aim to write at least 400 words in each post and mention the keyword(s) within the first 100 words – this helps spiders to identify them as important. Additionally, create co-occurrence by including a keyword in the title of your post. Once the post is written, it’s time to upload it to WordPress and create your links. The following guidelines are essential to remember when building a link. Always use a keyword as anchor text for your link. Make sure that you consistently link to the same url from a given keyword across all blog posts. Linking from multiple keywords is okay but only if each link leads to a unique url. Try not to link excessively – a minimum content:link ratio is 100 words:1 link. By following these guidelines, you can skillfully mold your blog into a content-creating, internal link-building machine. If you haven’t already, build a blog on your site and start today! 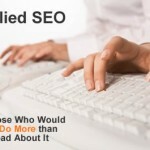 We can boost search engine ranking by integrating blog with our domain. We can update our blog with relevant post of our service and then link back to the main domain from each post. 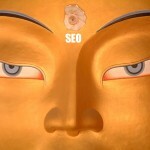 This blog is very interesting, I can learn more about SEO. So far as I know that SEO is only an unproven theory to me. I have WordPress blog separate from my website. What exactly do they mean having a blog on my website? A simple page on my website where I post daily thoughts, or a more formal merger of WordPress into the site. How is that done? It’s a nice post. This is exactly what I’m looking for “Building SEO Links in Your WordPress Blog”. Thanks for this post. 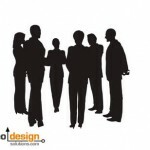 if i have many word press bog shall i link each one to my site so that the can help me in seo. A good SEO client is one who understands that SEO is a slowburn process yet he is still willing to give as much time and effort to it because he believes in your end result. Time, authority and percolating pages until they can pass link flow to the rest of your website is the name of the SEO game. 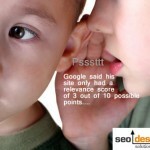 I very much agree, keywords along with a great content makes a site/page very seo friendly. 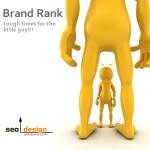 And with a little linkbuilding, it is guaranteed to rise. And with a little more seo strategies like optimizing on-page site navigation and social bookmarking, it would really come a longer way. Though SEO is a slow process, the clients must maintain patience to reap the benefit and SEO have to insist this to their clients! Thanks! That’s the info I was looking for. Interesting read, thanks for taking the time to put it together. I’ve heard varying information about the length of articles (some say Google likes 500-600 words minimum) and the use of keyword density in an article. I use your SEO Ultimate plugin for each WordPress blog & website I create, and it is by far the best SEO on-page optimization plugin for WordPress available. Thanks Pete, we originally used many of those modules for our clients, but decided to share. Naturally, we keep the really good ones to ourselves, but all-in-all, you can just about do everything you need to (for SEO purposes) on a blog, with SEO Ultimate. We will be adding new modules over time, so let us know what you would like to see, and we can add that to the wish list.